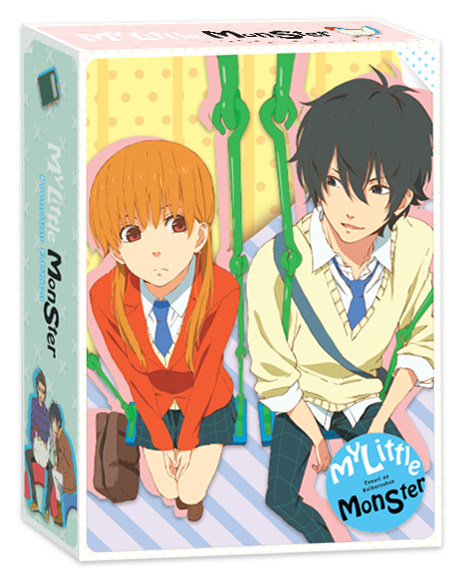 Robert's Anime Corner Blog: NIS Announces My Little Monster DVD/BD Premium Edition! 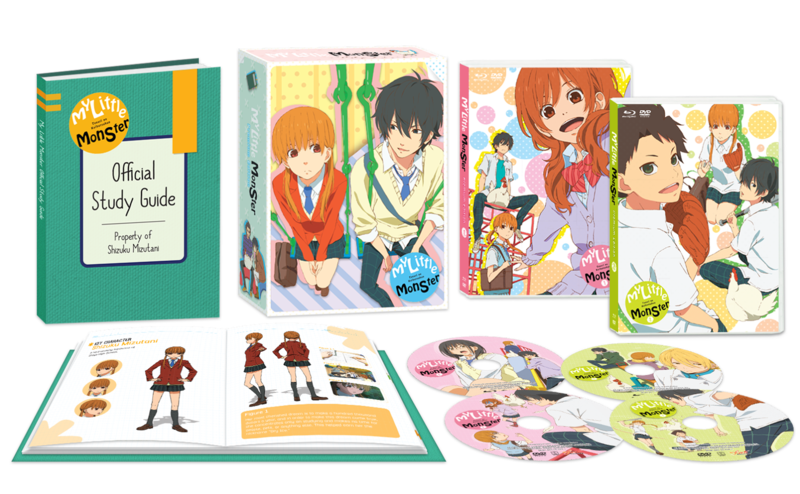 NIS Announces My Little Monster DVD/BD Premium Edition! For a limited time, we're offering this set in pre-order for the special RACS price of only $49.98 ($69.98 MSRP) so get your pre-order in today! Release date is set for June 30th. Synopsis: Shizuku Mizutani, who has no interest in anything but her studies, delivers worksheets to Haru Yoshida, a boy known for being a violent and uncontrollable monster. Though he hasn't been to school since the infamous bloodshed he caused on the first day of classes, during their fateful encounter he unexpectedly becomes attached to Shizuku and returns to school. Amid the fights with upperclassmen and all kinds of antics that follow, the two teach each other what it means to care for others.